Sucking up the excess mud and water arising from the drilling process. Disposing of this waste off-site. Trucking non-potable water on-site for use by the drilling rig. Provision of and operation of a loader. Provision and operation of a tipper. Provision of a second on-site operator to cover for an extended shift for one client that only normally contracts JJR D&C for one 12 hour shift during a 24 hour period. During the working shift, the workers are required to record on an hourly breakdown basis the services provided or whether they were on standby or stood down. The details are currently captured on paper in a Daily Well Report (DWR) and are signed off by the D&C tanker operator and usually countersigned by a company representative at the end of the shift. The client demanded a tablet based mobile application that can automate its paper-based system to an electronic system and help transmit the details of the DWRs to the central SharePoint repository. This will enable better tracking and auditing of the work provided for each drill site.The application will also track the actual hours worked by each operator by using the tablet to record their detailed information. Also, the tablet will capture details regarding the vehicle number, vehicle checklist, equipment, daily starting odometer, engine hours, hubometer readings of the prime mover (truck) and the trailer units. Design and develop a mobile application specific to Windows Motion F5te Tablet with optimised resolution. Signature SDK integration came as a major challenge to the team with respect to the Windows Motion F5te Tablet. Implementing stringent security measures to safely handle the vast transfer of data to the client’s central repository. Developing and implementing seamless data synchronisation with the server. Integration of Document capturing functionality with the application by using the tablet’s rear facing camera related to the project that will be automatically stored as an attachment for that project. 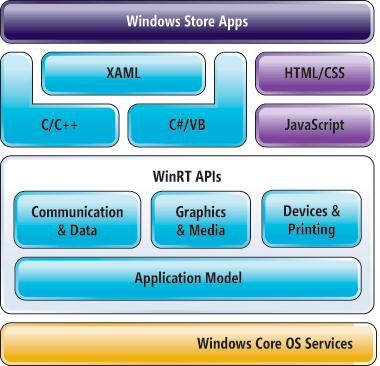 Development Tools & Environments	 Windows Motion F5te Tablet, C#, .NET, XAML, WPF, Visual Studio 2013 etc. The thorough research and analysis were done at every project level to effectively manage the development process. Development – High Level Coding Standards were followed for managing backup data volume. The tablet based time management mobile application effectively manages the tracking and auditing of the work provided for each drill site. This automated system with a simple to use interface will remove all the paper-based processes with an electronic system involving the use of tablets to transmit data to the client’s central repository. This mobile app is designed keeping in mind the need of the individual to increase their productivity at work.